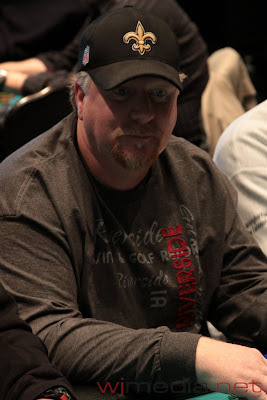 Michael Woods is officially the winner of the 2010 December Mega Stack Challenge Main Event! 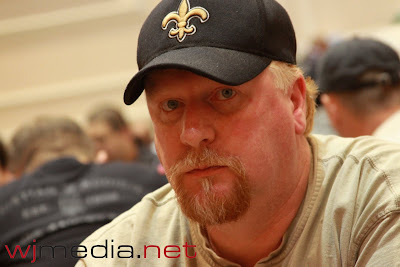 Congratulation to Michael and everyone who took part in the Mega Stack. We will see you in February for the next Mega Stack Challenge series!!! 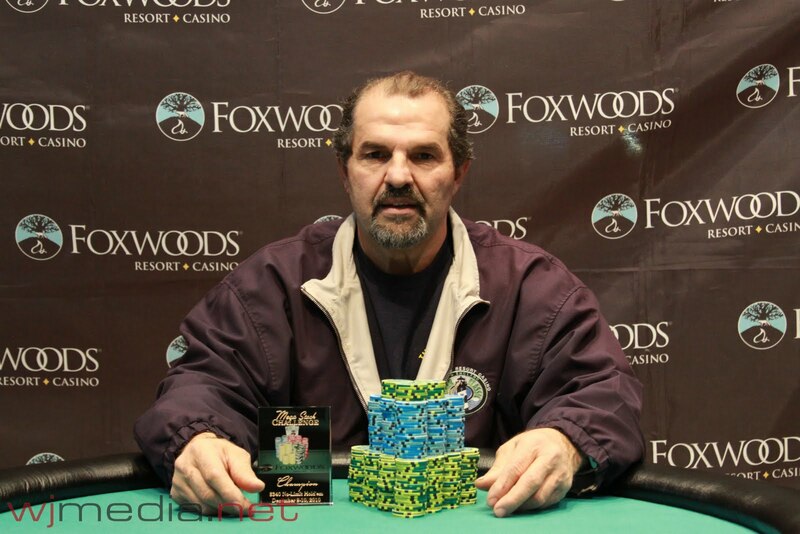 After a deal was made heads-up, David Espinola is officially the runner-up of the Foxwoods Mega Stack Main Event. The turn was the [Ac] and the river came the [Jc]. 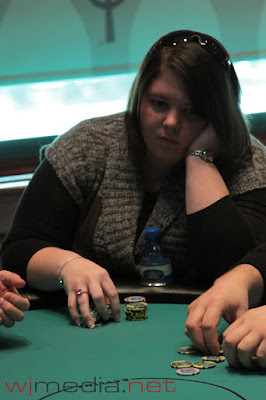 Espinola won the pot and Hickman was eliminated in 3rd place. The flop came [Kd][Qd][4h] and both players flopped gut shot straight draws. The turn was the [Td], giving Woods the straight. 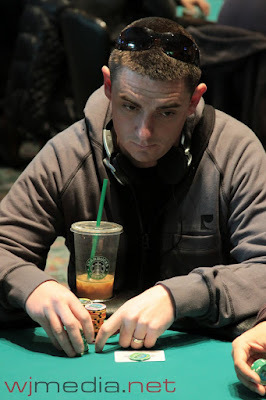 The river bricked out for McFarland and he was eliminated in 4th place for $30,000. The four remaining players have agreed to each take $30,000 and play for the remaining $20,000. The blinds have been increased to 40,000-80,000 with a 10,000 ante. The players have agreed to shorten the levels to 15-minutes. With four players remaining, the average chip stack in now 2,650,000. 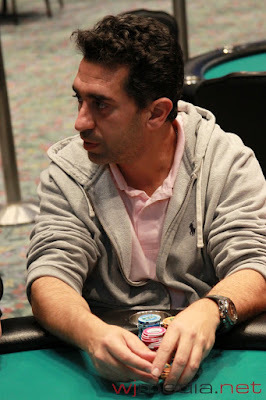 Mouttaouakil had Woods dominated and stayed in the lead on a flop of [Tc][3h][2h]. However, the [6h] on the turn gave Woods the lead. 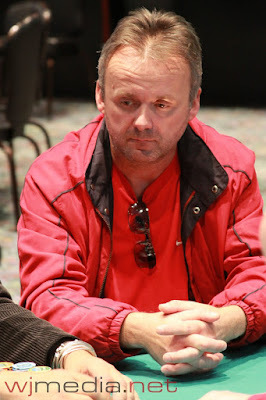 The [5h] on the river did not improve Mouttaouakil and he was eliminated in fifth place. The blinds have been increased to 25,000-50,000 with a 5,000 ante. The average chip stack with 5 players remaining is 2,120,000 chips. 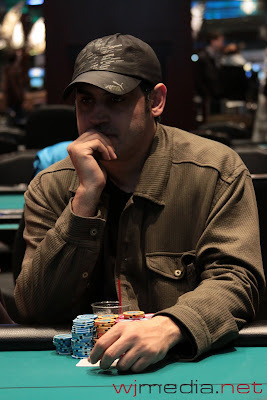 The board came out [Ac][Jc][9c][6c][5h] and Mouttaouakil won the pot to eliminated Anderson in sixth place. The blinds have been increased to 20,000-40,000 with a 5,000 ante. With six players remaining, the average chip stack is now just under 1,800,000. The board came [Ad][Jc][5c][Tc][Jh] and Woods took the pot. Perry was eliminated in 7th place. The board came [Kc][Jh][7s][8s][6h] and Hickman's ten kicker played. Cambareri was eliminated in 8th place. 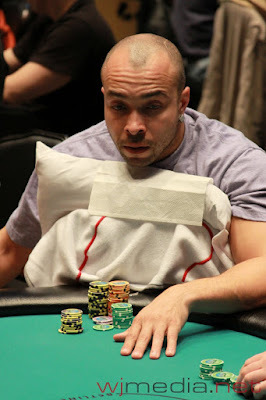 Espinola had outdrawn Lee by flopping the flush. But, Lee still held the [Kh]. The turn was the [Jd] and the river came the [9s]. Lee failed to make a higher flush and was eliminated in 9th place. When play resumes, the blinds will be increased to 15,000-30,000 with a 5,000 ante. The average chip stack is now just under 1,200,000. The board ran out [Ah][Ks][8h][8s][4s], giving Lee the pot and eliminating Maillet in 10th place. The blinds have been increased to 12,000-24,000 with a 4,000 ante. The average chip stack is now 1,060,000. Mega Stack Final Table Streaming LIVE!!! The final table of the $1,100 Mega Stack Challenge is now streaming live in HD. Just click "Watch LIVE Video" at the top of the page to watch the live stream. 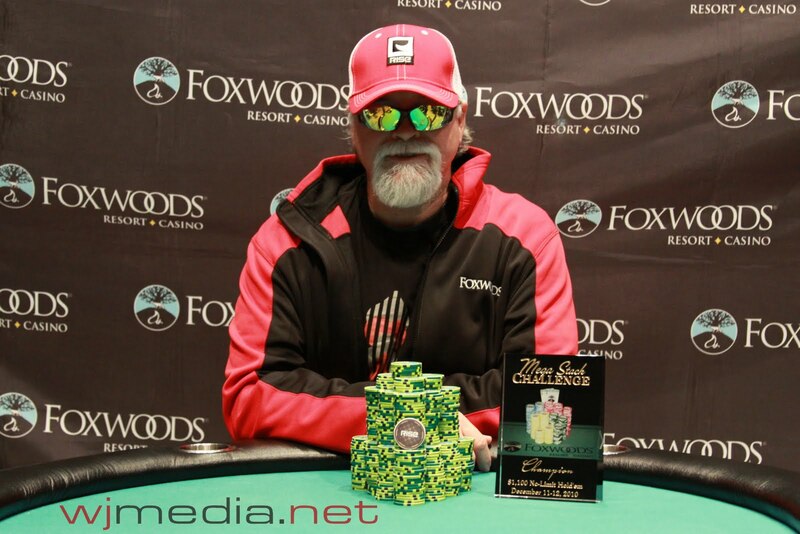 Foxwoods Mega Stack Final Table! The final table of ten is set for the Foxwoods Mega Stack Main Event. Players and chip counts will be listed momentarily. The remaining 12 players are now on a one-hour dinner break. 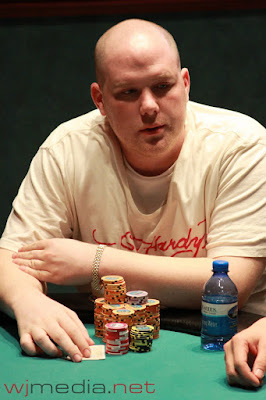 With only 14 players remaining, Brad McFarland has taken the chip lead with nearly 2 million in chips. The blinds have been increased to 8,000-16,000 with a 2,000 ante. With 18 players remaining, the average chip stack is just under 589,000. 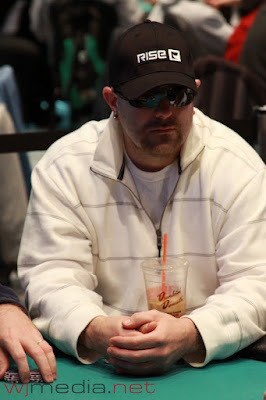 We are down to the final 18 players of the $1,100 Foxwoods Mega Stack Challenge Main Event. Players are redrawing for seats at the final two tables. When play resumes, the blinds will be increased to 6,000-12,000 with a 2,000 ante. The average chip stack with 23 players remaining is now just over 460,000. We are down to the final 27 players in the $1,100 Foxwoods Mega Stack Main Event. Players are currently redrawing for seats at the final three tables. The blinds have been increased to 5,000-10,000 with a 1,500 ante. With 30 players remaining, the average chip stack is now just over 353,000. YouTube Video: Bubble Bursts in the Mega Stack Poker Main Event! The Bubble Bursts in the Mega Stack Main Event! The bubble has burst in the $1,100 Mega Stack Challenge Main Event! Video of the bubble hand will be posted shortly. The remaining 30 players are now guaranteed at least $2,441. We are now down to 32 players in the $1,100 Foxwoods Mega Stack Challenge Main Event. The top 30 spots will finish in the money. The players now on a 10-minute break. With 33 players remaining, the average stack is now just over 321,000. 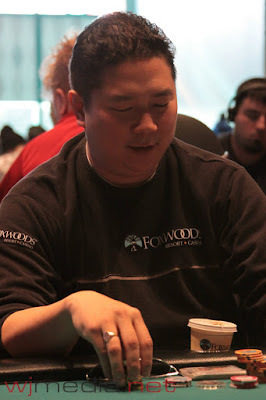 Day One chip leader Tuan Vo has been eliminated from the Foxwoods Main Event in level 18. There are now 41 players remaining with top 30 spots finishing in the money. With 42 players remaining, the average chip stack is now just over 252,000. 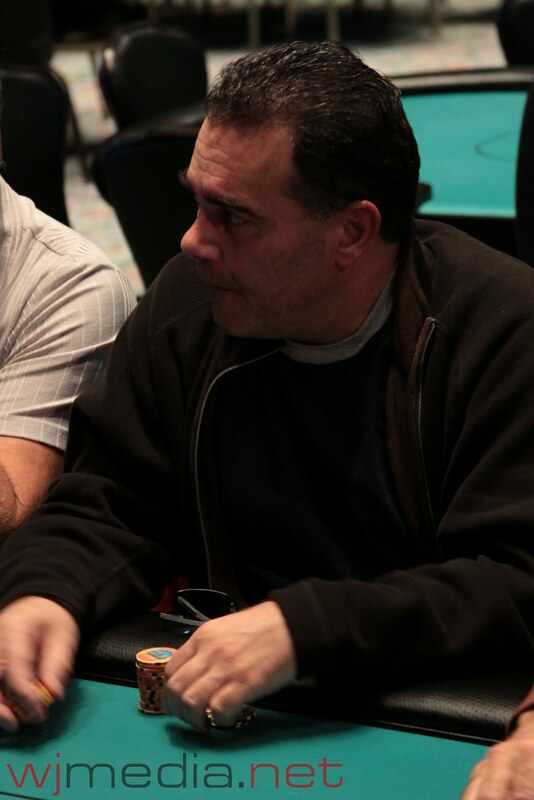 Spiro Mitrokostas has been eliminated from the Mega Stack Main Event in 55th place. We are now down to our final six tables. The 58 remaining players in the Mega Stack Main Event are currently on a 10-minute break. The average stack is now just under 183,000. 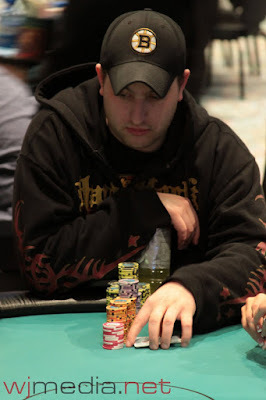 A short-stacked James "jcamby33" Campbell was just eliminated from the Foxwoods Mega Stack Main Event when his A-7 was unable to improve against Andrew Kaplan's A-J. Click HERE to watch our interview with James Campbell from Day One. The feature table of the $1,100 NLHE Mega Stack Challenge Main Event is now streaming live!!! Just click "Watch LIVE Video" at the top of the page to view the live feed. 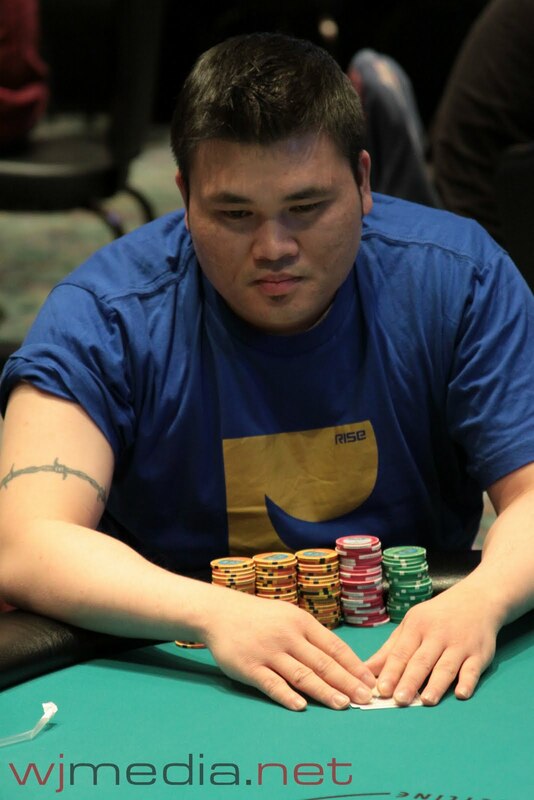 James "jcamby33" Campbell is seated in the six seat and chip leader Tuan Vo is in the seven seat. Day Two of the $1,100 Foxwoods Mega Stack Challenge Main Event is about to get underway. With 63 players remaining, the average chip stack is just over 168,000. The blinds will be starting at 2,000-4,000 with a 400 ante. 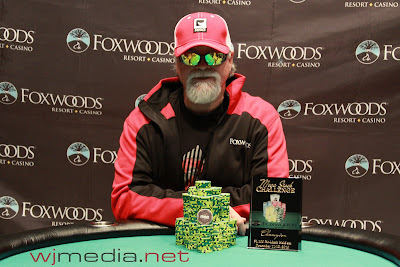 Play has come to an end on Day One of the $1,100 Foxwoods Mega Stack Challenge Main Event. The board reads that there are 63 players remaining. Final Day One chip counts and Day Two seating assignments will be posted as soon as they are available. Play will resume tomorrow at 11am. 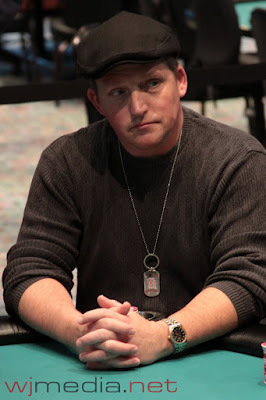 Kyle Loman, who just finished 5th in the $340 Mega Stack event, was just eliminated with only a few minutes to go on Day One of the Mega Stack Main Event. When play resumes, the blinds will be increased to 1,500-3,000 with a 400 ante. With 81 players remaining, the average chip stack is now just under 131,000. We will play one more level this evening. With 99 players remaining, the average chip stack is now just over 107,000. 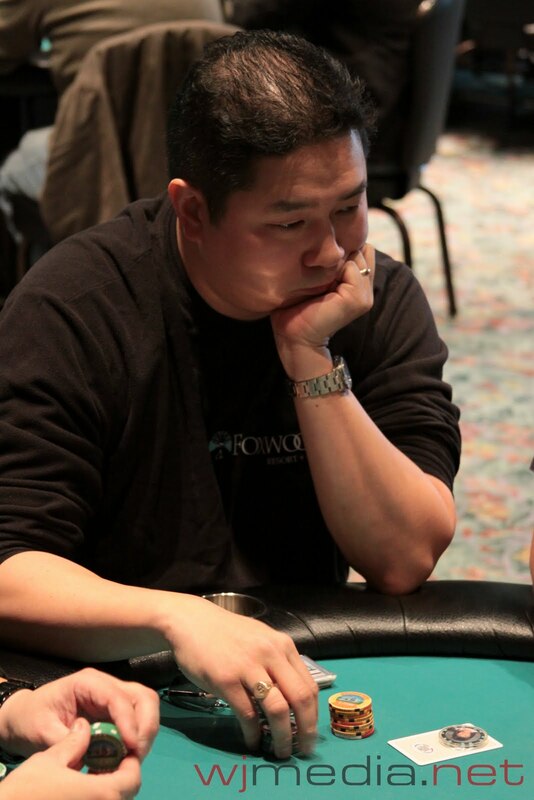 With less than 100 players remaining, Tuan Vo has extended his chip lead. The chip average is right around 107,000 but Vo is now sitting on over 530,000 in chips. With 126 players remaining, the average chip stack is just over 84,000. The blinds have been increased to 800-1,600 with a 200 ante. With 135 players remaining, the average chip stack is now just under 79,000. 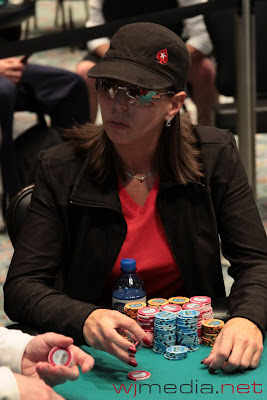 When play resumes, the blinds will be increased to 600-1,200 with a 200 ante. The average chip stack with 162 players remaining is just over 65,000. December Mega Stack Challenge Host Darvin Moon was just eliminated from the Main Event by Tuan Vo. Thanks to Darvin Moon for another excellent job as host of the Mega Stack Series! After knocking Moon out, Tuan Vo is now over 300,000 in chips. 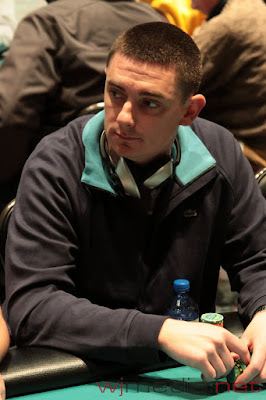 With 171 players remaining, the average chip stack is just under 62,000. Players have returned from their dinner break and cards are back in the air. The blinds have been increased to 400-800 with a 100 ante. With 192 players remaining, the average chip stack is just over 52,000. 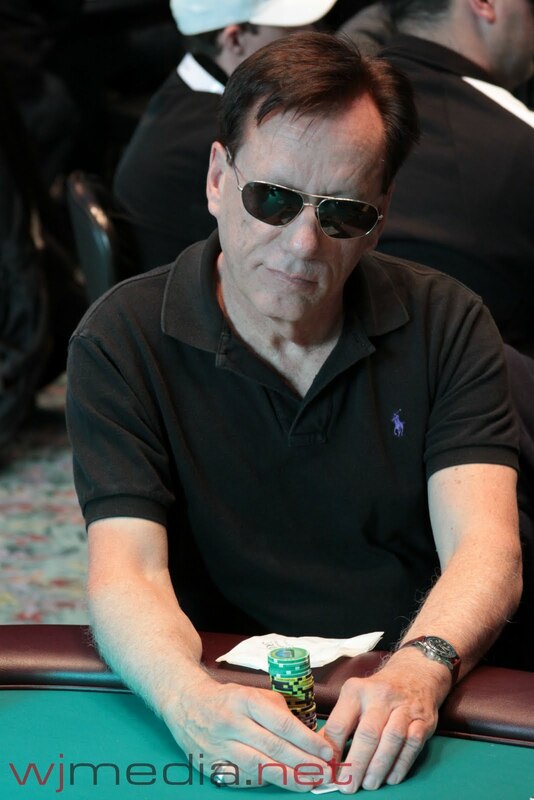 Actor James Woods has been eliminated from the Foxwoods Mega Stack Challenge Main Event during level 8. The blinds have been increased to 300-600 with a 75 ante. With 196 players remaining, the average chip stack is now 54,000. 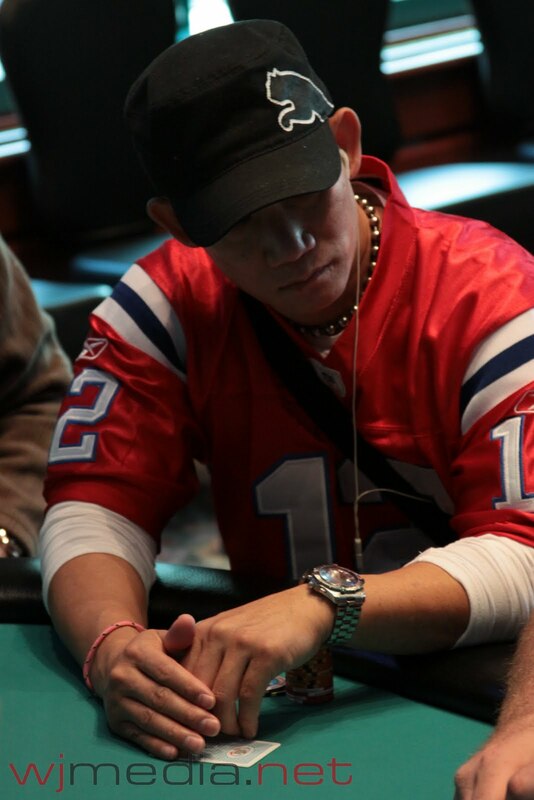 Foxwoods Poker Room Spokesperson Bernard Lee has been eliminated from the Mega Stack Challenge Main Event. 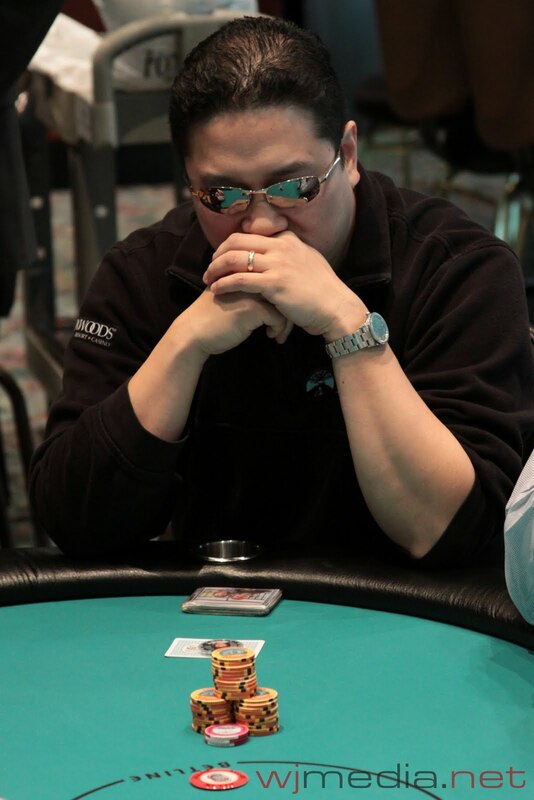 Tuan Vo Takes the Chip Lead! 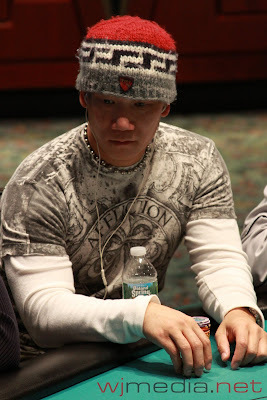 Tuan Vo, who is seated at the live stream feature table, is the new chip leader in the Foxwoods Mega Stack Main Event. 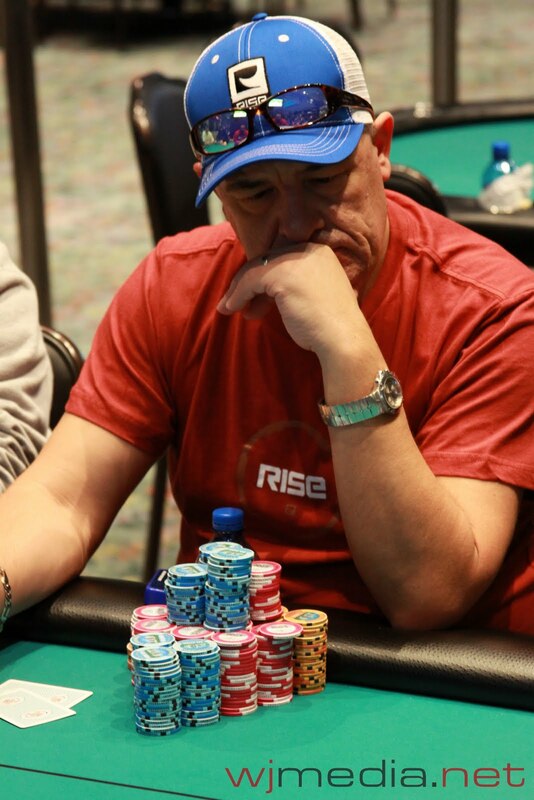 After starting with 40,000 in chips, Vo is now up to nearly 200,000 early in Level 7. With 222 players remaining, the average chip stack is now just under 48,000. When play resumes, the blinds will be increased to 200-400 with a 50 ante. The blinds have been increased 150-300 with a 25 ante. 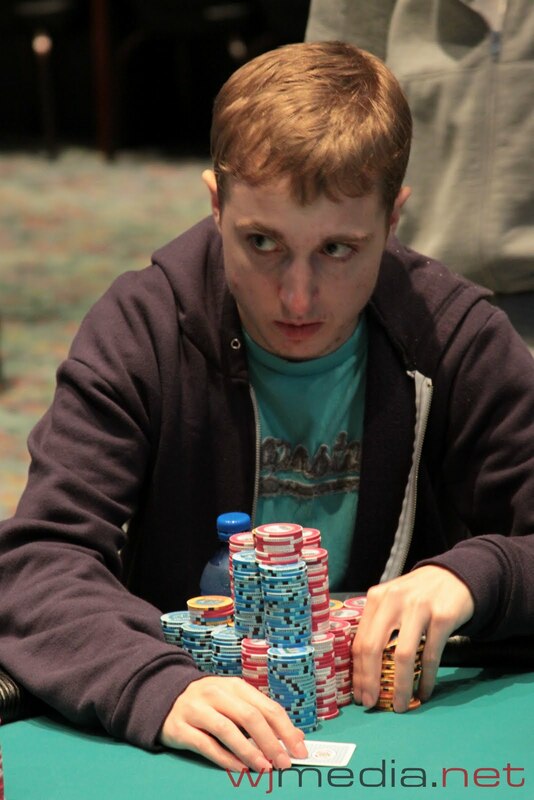 With 234 players remaining, the average chip stack is now just over 42,000. We had a total of 265 players in the $1,100 NLHE Mega Stack Challenge Main Event. The blinds have been increased to 100-200 with a 25 ante. 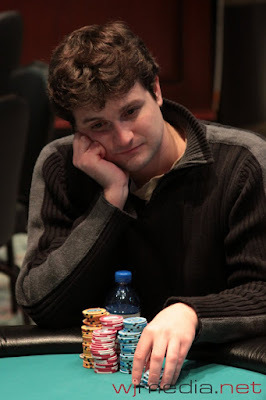 2010 Foxwoods Poker Classic Champion Luis Vazquez has been eliminated early in level 4 of the Mega Stack Challenge Main Event. The blinds are being increased to 100-200. Final numbers and payouts will be posted shortly. When play resumes, the blinds will be increased to 75-150. The blinds have been increased to 50-100 in the $1,100 Mega Stack Challenge Main Event. With registration still open for the next few levels, there are already over 200 players in the field of today's $1,100 Mega Stack Challenge Main Event. 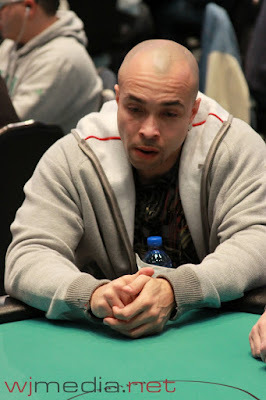 Darvin Moon at the Live Stream Feature Table! The HD Live Stream is now up and running! 2009 WSOP Main Event Runner-Up Darvin Moon is seated at our featured table. Just click "Watch LIVE Video" at the top of the page to view the live stream of the featured table! Foxwoods Mega Stack Main Event About to Start! 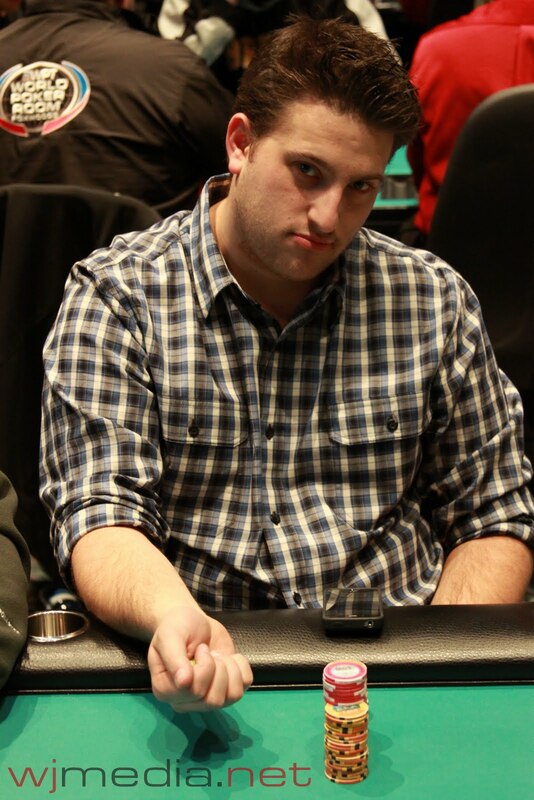 The $1,100 NLHE Main Event of the December Foxwoods Mega Stack Challenge is about to kick off. Players start with 40,000 in chips and the blinds are 50 minutes in length. 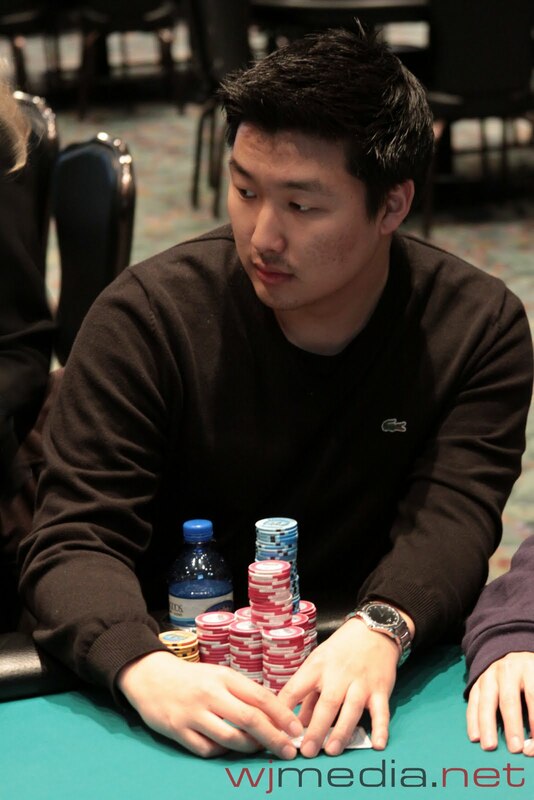 You can watch the HD live stream of the feature table with 2009 WSOP Main Event Runner-Up Darvin Moon now by clicking "Watch LIVE Video" at the top of the page. The final four players in the $340 Mega Stack Challenge came to an agreement on a chip chop. 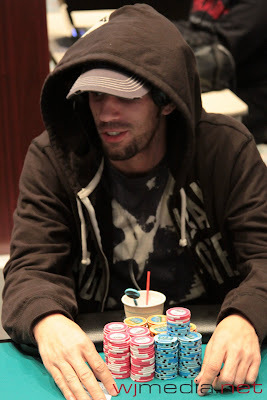 Carlo Sciannameo was the chip leader at the time and takes home the trophy as well as $18,797. The four remaining players are now on a 10-minute break. 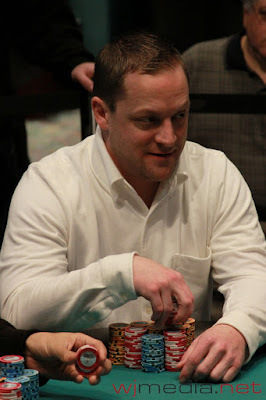 Kyle Loman was just eliminated in fifth place. When play resumes, the blinds will be increased to 30,000-60,000 with a 10,000 ante. The blinds are being increased to 25,000-50,000 with a 5,000 ante. 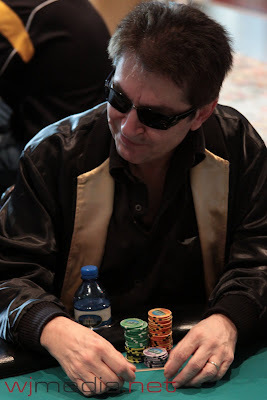 The blinds in the $340 Mega Stack have been increased to 20,000-40,000 with a 5,000 ante. The final six players in the $340 Mega Stack Challenge are now on a 10-minute break. When player resumes, the blinds will be increased to 15,000-30,000 with a 5,000 ante. The average chip is now 1,130,000. 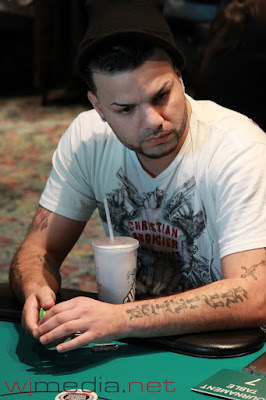 Richardo Bonilla was just knocked out in 10th place and we are down to the final nine players. The average chip stack is now 752,000. $340 Final Table Now Streaming Live in HD!!! The final table of the $340 NLHE Mega Stack event is now streaming live. We are down to the final table of ten in the $340 NLHE Mega Stack Challenge event. 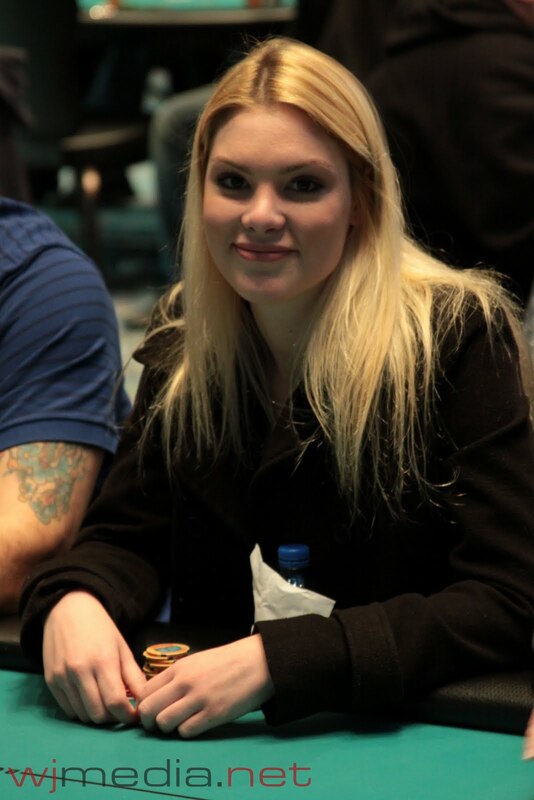 The final table will be streaming live, just click "Watch LIVE Video" at the top of the page. 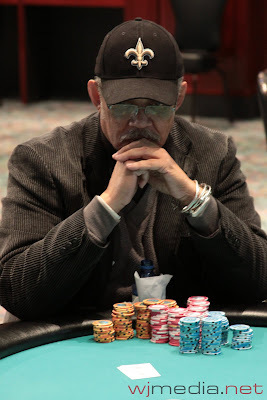 Norman Bell Jr. Takes the Chip Lead! Norman Bell Jr. and Chris Longwell got all in before the flop. Bell held [As][Js] but Longwell turned up [Ac][Ad]. The flop came out [9s][5d][3s] and Bell picked up the nut flush draw. The [Ks] on the turn game him the flush and left Longwell drawing dead. A meaningless [Kc] fell on the river. When the chips were counted down, Bell just barely had Longwell covered, eliminating him in 14th place. Bell raked in over 1.5 million in chips to take an overwhelming chip lead with 13 players remaining. The blinds have been increased to 10,000-20,000 with a 3,000 ante. With 13 players remaining, the average chip stack is now 520,000. The 15 remaining players are now on a 10-minute break. When play resumes, the blinds will be increased to 8,000-16,000 with a 2,000 ante. The average chip stack is now 451,000. With 20 players remaining, the average chip stack is just over 338,000. We are down to the final 20 players in the $340 Mega Stack Challenge. The blinds are now 5,000-10,000 with a 1,000 ante. 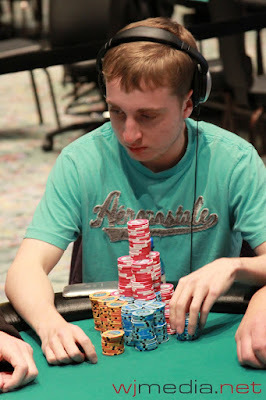 The board ran out [Ah][6c][3s][2h][2c] and Moon was eliminated from the $340 Mega Stack in 24th place. We are down to 30 players and our final three tables. Watch the live stream of the feature table by clicking "Watch LIVE Video" at the top of the page. Darvin Moon has more than doubled up and has 242,000. 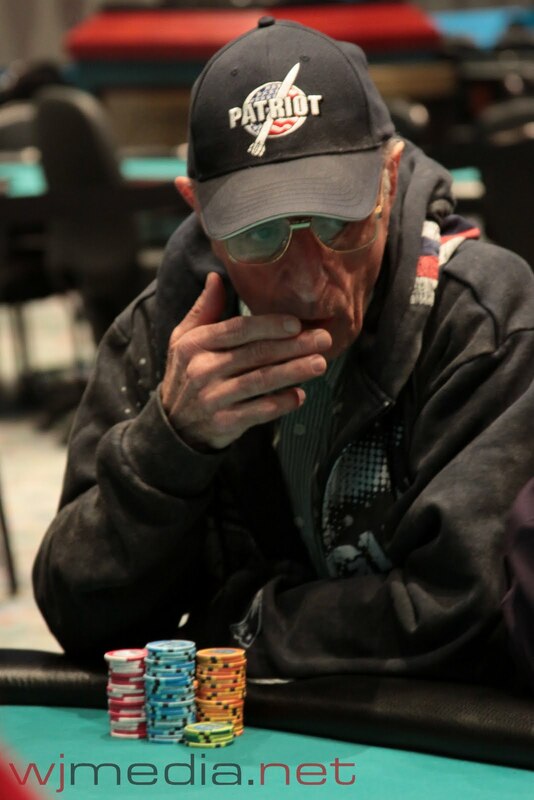 A short stacked Bernard Lee moved all in for less than 50,000 and was called by Peter Pecoraro. Lee had just a J-3 but Pecoraro woke up with pocket queens. 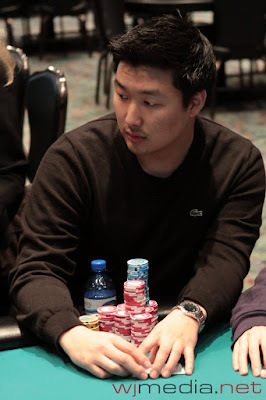 The board did not bring any help for Lee and he was eliminated in 36th place. Cards in the Air at the $340 Mega Stack Challenge! Cards are back in the air. The blinds are now 4,000-8,000 with a 1,000 ante. 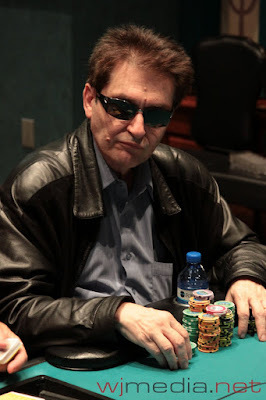 The average chip stack with 38 players remaining is 178,000. The HD Live Stream is now up and running. Just click "Watch LIVE Video" at the top of the page. Day Two of the $340 Mega Stack Set to Begin! Day Two of the $340 Mega Stack Challenge is set to begin. A total of 38 players remaining and we will play down to a winner today. 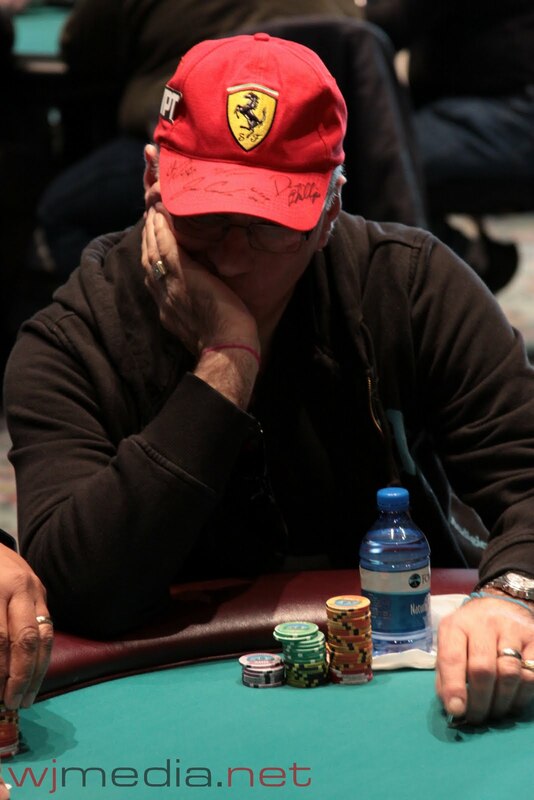 The current chip leader is Carlo Sciannameo with 383,000. 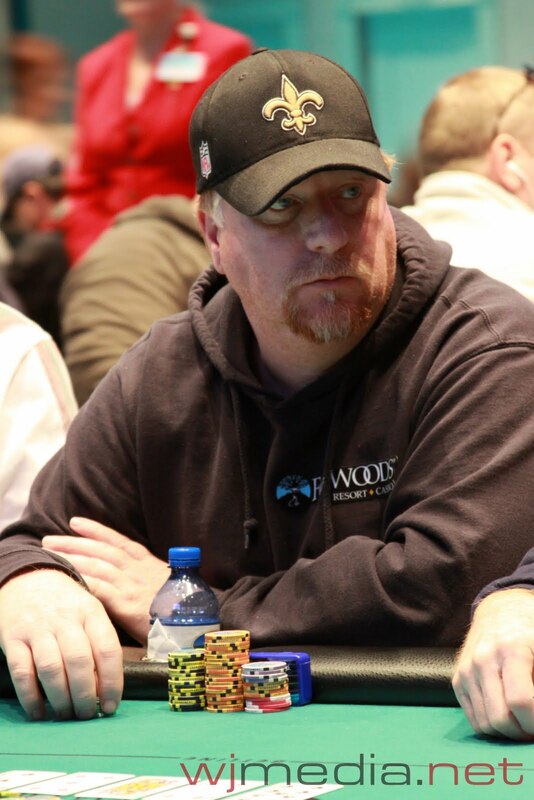 Both 2009 World Series of Poker Runner-Up Darvin Moon and Foxwoods Spokesperson Bernard Lee made Day Two and are seated at our live streaming feature table. Play has come to an end on Day One of the $340 Mega Stack Challenge event. Bobby Ferdinand was eliminated on the last hand of the night, leaving us with 38 players remaining. 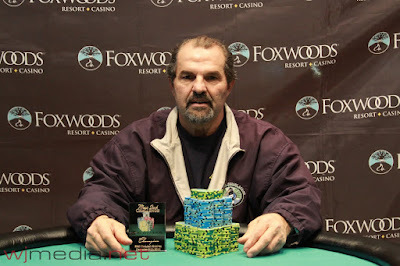 Stay tuned to FoxwoodsLive.com for all of the updates from the final day of play in the $340 NLHE event. The Bubble Bursts in the $340 Mega Stack! We just lost out 51st place finisher and all the remaining 50 players are in the money and guaranteed at least $708. The blinds are being increased to 2,500-5,000 with a 500 ante. With 56 players remaining, the average chip stack is now just under 121,000. The final 50 players will finish in the money. After a early position raise and a flat call by another opponent, James Campbell moved all in for around 50,000. The original raiser folded but the second player made the call. Campbell had pocket tens but his opponent flipped up pocket kings and Campbell could not improve. Campbell was eliminated from the tournament but will be back on Saturday to take part in the $1,100 Mega Stack Challenge Main Event. The players in the $340 NLHE Mega Stack event are now on a 10-minute break. When play resumes, the blinds will be increased to 2,000-4,000 with a 500 ante. With 68 players remaining, the average chip stack is now just over 99,000.